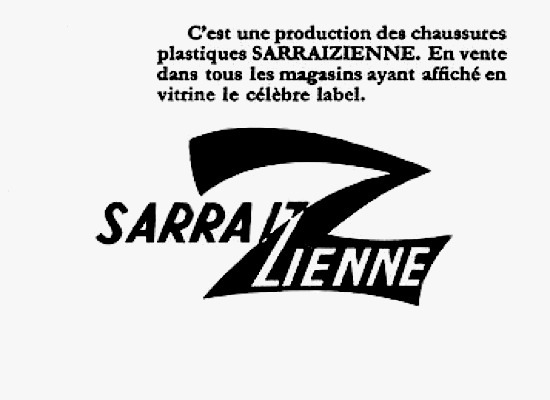 Monsieur Jean Dauphant, from the Auvergne region (center-south France) started the brand SARRAIZIENNE in 1946. 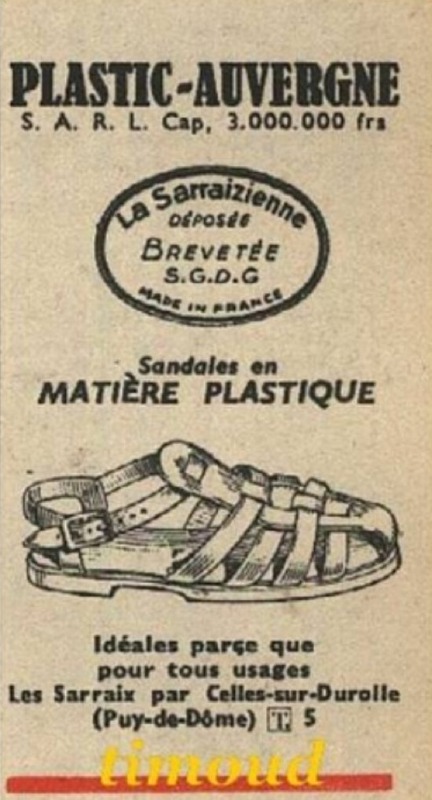 Shortage of leather required lateral thinking and the use of moulded plastic was an available option. Nicknamed Méduse, it became an instant classic. 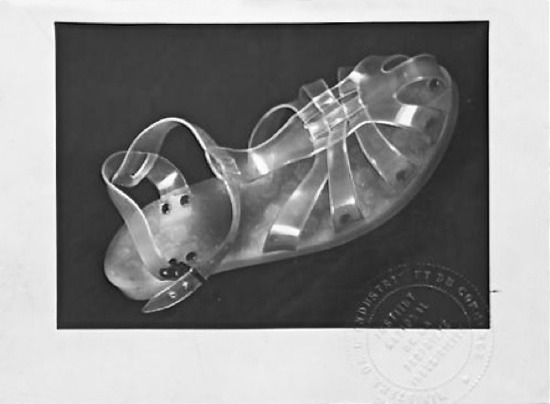 The oldest patent available is dated 1954 while this one below is from the following year. 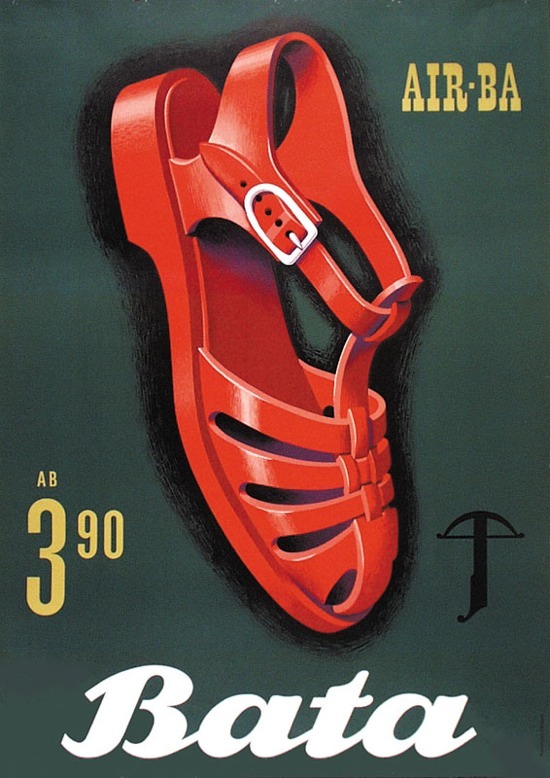 In any case, it makes Jean Dauphant the original item making all the others second-rate copycats. Much like the Crocs, the Méduse (jellyfish) is an acquired taste, however it can count on unsuspecting supporters like cult director Terry Gilliam. 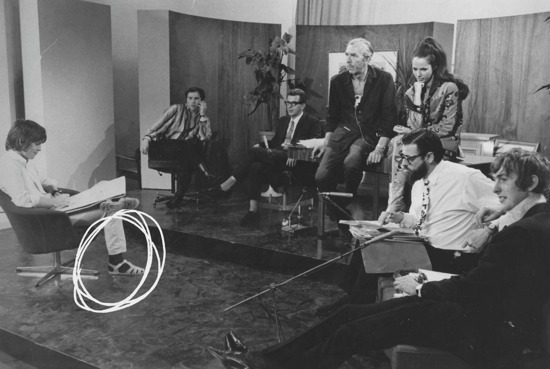 Check out my jelly shoes – pretty groovy, I’m sure you’ll agree. 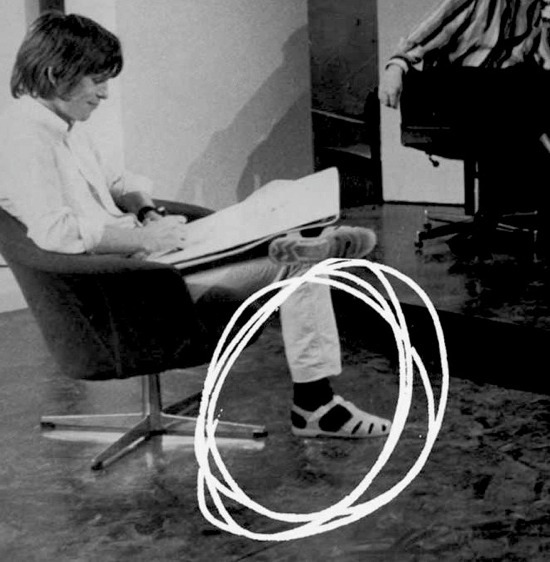 Michael Palin’s wife Helen hated them so much she wouldn’t let me in the house with them on.